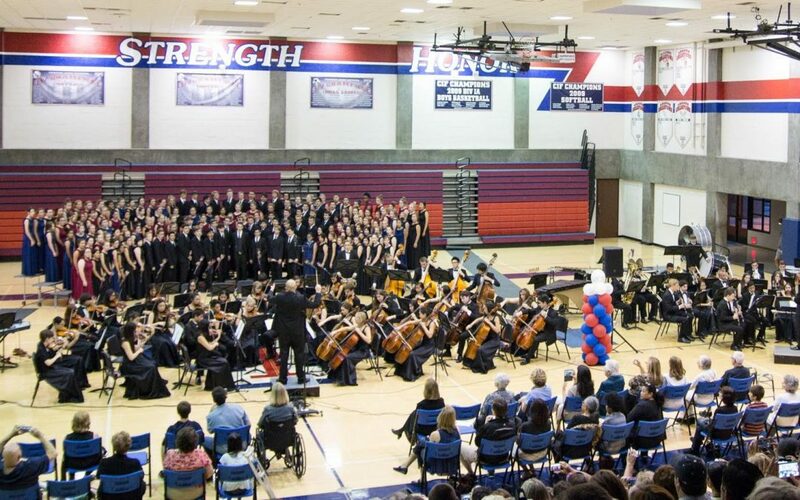 The choirs performed with the Tesoro bands and orchestra in a concert celebrating their selection as a 2015 Grammy Signature School. Out of 25,000 public high schools, only five were selected as Signature Schools of Excellence. The music department received a $2,500 prize for this honor.